Friday afternoon I was looking through the latest tweets when my eye was caught by the phrase Dendogram-Based Testing. I like all words that have a Greek origin and sound like science, so I had a closer look, and of course it was James Bach introducing a new concept. One that – as far as I understand – is still pretty much missing a definition. No reason to let a small detail like that stop you, right? After reading up on dendograms I realized that I have actually used them before, but didn’t know they were called dendograms. 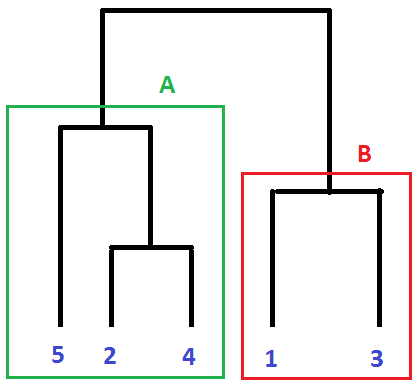 A dendogram is basically a way to take data points and cluster them based on their properties. They are commonly used in computational biology, and that’s were I encountered them. About a year ago I spent a week of my vacation making dendograms from genome data. In testing, one way to use dendograms would be to cluster defects. 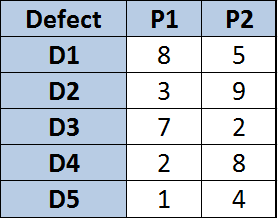 In order to do this you would need to define a set of properties for each defect, and based on these properties it would be possible to calculate distances between the defects and cluster them in a dendogram. I will save the discussion on whether this is useful or not for later. To the best of my knowledge this game does not exist, but if it did it would be a game in which the player has to find critical bugs in imaginary applications under time pressure. Just for the record, I haven’t thought too much about this so I’m just making it up as I go along. That’s it! Two important points here are i) you need a tool because you definitely do NOT want to do this by hand and ii) how about non-numeric properties, how do you measure distances? I definitely think dendograms can be useful, but a tool needs to be found and then there must be some thought on which properties to use – what kind of information do we want from the dendogram? This post is just a collection of initial thoughts and is focused on what a dendogram is. I will now crawl back under the rock I came from and think more about how to actually use it for testing.